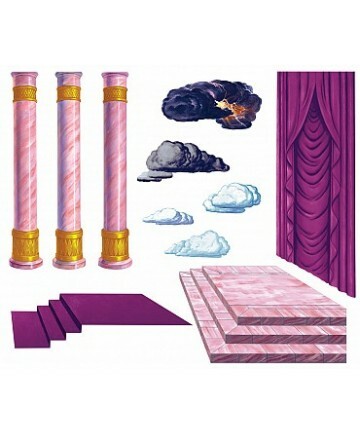 The Throne Room overlay consists of three pillars, curtain, steps and carpet. 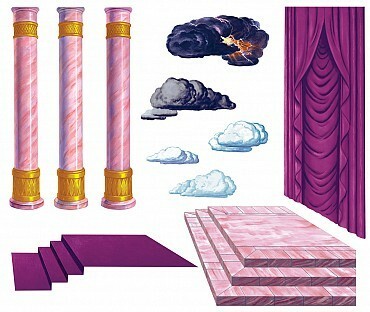 This turns the Indoor Background into a royal palace for David, a temple court where Paul preaches to the people, a visit to Queen Esther's banquet, and many others. To be used over the Small Indoor Background (16" x 24").